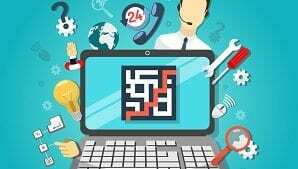 How Do I Setup A VoIP Service For My Small Business? Getting a business up and running requires a plan and a vision. But to keep it running, you need to adapt your business according to the needs and business trends of the market. These requirements can be from your end or the customers. Setting up a VoIP service is one requirement that cannot be ignored these days. That’s why we will show you how you can set up a VoIP service for your own business. Why Is VoIP So Popular? VoIP services leverage your internet connection so you can make voice calls to any part of the world. The best part about VoIP calls is that each call you make doesn’t cost you an additional dime, beyond what you pay for your monthly subscription. Apart from that, you don’t pay anything. But one can argue that there are traditional phone plans that prove to be cost-effective for businesses. While that’s true, you can’t use your office fixed line remotely. With VoIP, you’re not bound by the premises. Moreover, using a VoIP service gives your business a professional edge. The section above mentions some of the benefits that come with switching over to a VoIP service for your small business. This section will teach you how to setup this service for your business. Take a look at the pointers below for best setup practices. First and foremost, VoIP services require an internet connection. They will use a considerable amount of your network’s capacity. You need to check that your existing network can sustain the increase in data that would accompany your new VoIP service. Whether your existing setup is good enough to accommodate a VoIP service is something your network admins can shed some light on. Have them look into this first before all else. VoIP services usually help a small business cut down on the cost of communication. But having a VoIP service pays the most dividends when you need to make routine long-distance calls. For regional or local calls, the bills aren’t too high for a traditional landline. So you should keep that in mind. But having said that, it’s important to point out that having a VoIP service can help your business to grow faster. The bottom line here is that you need to know how you are going to use the service. That will help you choose the right plan for your business. Since VoIP services offer a wide range of plans, from pay-as-you-go to unlimited local and national calling, it’s vital that you know about your calling habits so that you don’t overpay for services you don’t need. If you are serious about setting up a VoIP service, you have to plan wisely. Like many digital services, VoIP offers a multitude of features and functionality. These come packed with their own set of features. So many options to choose from can be overwhelming, but if you know your budget, you can slash off quite a few of the services immediately. VoIP services usually fall within the range from $30-$70 per person per month. This depends on the service and plan you opt for. Once you’ve narrowed down the type of service you need, you can compare top brands in your budget, and pick the best for your business’s needs. In order to get the best VoIP service for your small business, you have to know exactly how many of your employees are going to use it. This helps you clarify a few things. For example, you can decide upon how many lines you would need based on the number of users. You would also know the amount of bandwidth the VoIP service would leech out depending on the number of people using it. In addition to this, you can learn which features you require from your VoIP service. As mentioned earlier, VoIP offer a plethora of features, and knowing your requirements can help you to find a provider quicker. VoIP needs internet – this is the foundation of the technology. Your business probably already relies heavily on your internet usage. Before you choose a VoIP service, find out if your plan’s internet speed is sufficient to accommodate the bandwidth division that is going to be required from your VoIP service. Using VoIP shouldn’t affect your general business operations. Moreover, if your internet speed isn’t sufficient, your VoIP service won’t function at the level that you expect. Now that you have gathered all the important information and performed all the checks, it’s time to choose a VoIP service. As pointed out before, you need to have all the necessary information before you make this decision. While selecting a VoIP service, you need to be sure of a few things. We’ve outlined some of the primary things to consider, but for a more detailed list of considerations, you can check out this article. See to it that the VoIP service you are interested in has all, or at least most of the features you want. In case all the features on your list aren’t provided by the VoIP service, see that the features that are your top priority are there. Find out if it is within your budget. Calculate exactly how much you would pay for the service on a monthly basis. This will be affected by the number of users, the plan you will use, etc. Then, see if you can accommodate this additional expenditure to your monthly spending. Find out if it is easy to use. It’s no good using a service if you don’t know how to use it, because you will waste time and money in learning the product. Additional costs are bad for small businesses. It’s a no-brainer that your VoIP should be simple to learn and easy to maintain. Check the quality of the customer service. You’re bound to face issues when you start using a VoIP service. If your service has good support, you can resolve the issues sooner rather than later. Once you have selected your VoIP service, you can order the equipment. Again, you need to decide which pieces of equipment you actually need. There are many VoIP services that can be used without a dedicated VoIP phone: your computer, tablet, or an adapter into your phone can suffice to work with VoIP. Be that as it may, to use all the features of your VoIP service, you will have to buy a VoIP phone. If you need the features you’ll miss out on if you don’t buy a VoIP phone, then you should buy one. Again, there are a lot of options in the market. A little research wouldn’t be a waste, and you can check out a great article on VoIP hardware here. All that’s left for you to do is setup the service. In most cases, it’s as easy as it sounds. In other cases, not quite so. As long as you don’t have a network firewall or other roadblocks, the process is as simple as plugging in your VoIP phone into the ethernet system and setting it up on the phone. However, if you need to circumvent these obstacles, you will need some help. For people with enough knowledge about the field, it’s a simple job. But the common small business owner doesn’t always have such personnel at his or her disposal. If you fall in this category, there’s no real need to worry. Most VoIP services have detailed tutorials regarding setting up their service. They are simple to follow and help you setup the service. There are also many YouTube videos that will give you step-by-step instructions for set up, based on the VoIP provider you chose. VoIP services need internet and electricity. But sometimes, small businesses can face downtime if their internet connection is down for long periods of time or if they face a power outage. Therefore, it is vital that you have fixed line and mobile phones set aside for such cases. This will make sure that you don’t face extended downtime. For a small business, that means losing out on customers and that’s just bad business practice. 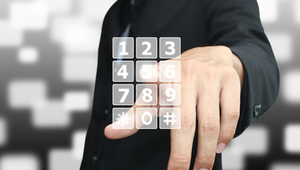 Finding the right plan for your particular VoIP service is important. There are different packages based on your length of subscription. It’s better to choose semi-annual or annual packages if you are pretty certain about the choice you have made regarding the VoIP service. The discounts offered on longer subscriptions help you cut down on the cost. When you setup a VoIP service for your small business, you need to be sure that you are getting the best deal for what you are paying. After all, it is an investment you are making. It’s important that you ensure the return on investment, i.e. the money you will save by switching over to VoIP, is worth the money you are paying. 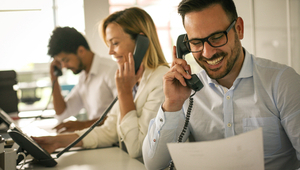 To find out more about the top VoIP services on the market, check out Top 5 VoIP’s list of the best brands, and choose the best one for your small business needs.